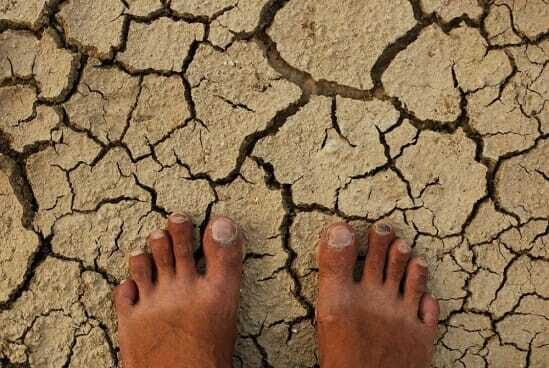 January 28, 2019 – Global food production is suffering from an increasing number of “food shocks,” or sudden losses in food production, with most caused by extreme weather and geopolitical crises. That is according to an international study led by researchers from the National Center for Ecological Analysis and Synthesis (NCEAS) at UC Santa Barbara, the Institute for Marine and Antarctic Studies (IMAS) and the Centre for Marine Socioecology at the University of Tasmania, who looked at the incidence of land and marine food shocks between 1961 and 2013. Their findings, published in the journal Nature Sustainability, identified 226 food production shocks across 134 nations over the 53-year period, noting an increasing frequency of shocks across all sectors on a global scale. The researchers looked at the full range of global food production systems, covering crops, livestock, fisheries and aquaculture. Lead author Richard Cottrell, a Ph.D. candidate at IMAS, said extreme weather was a major cause of shocks to crops and livestock, highlighting the vulnerability of food production to climate and weather volatility. Cottrell said the increasing frequency of food shocks gave people and communities less recovery time between events and eroded their resilience. “Reduced recovery time hinders coping strategies, such as accumulating food or assets for use during times of hardship,” he noted. One key question addressed in the study was whether food shocks are less frequent in the ocean, where drought and other extreme weather events may be less common. The authors note that, combined with adverse climate conditions, conflict-related shocks to food production across sub-Saharan Africa and the Middle East have led to a rise in global hunger since 2010. 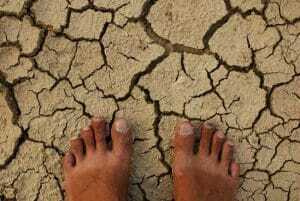 Indeed, land-based crop and livestock production are particularly vulnerable to extreme weather events such as drought, which are expected to become more frequent and intense with climate change. The authors found that overfishing, which is common around the world, was responsible for 45 percent of food shocks in fisheries, while disruptions to aquaculture production have risen faster and to a higher level than any other sector since the 1980s, in particular due to disease outbreaks.